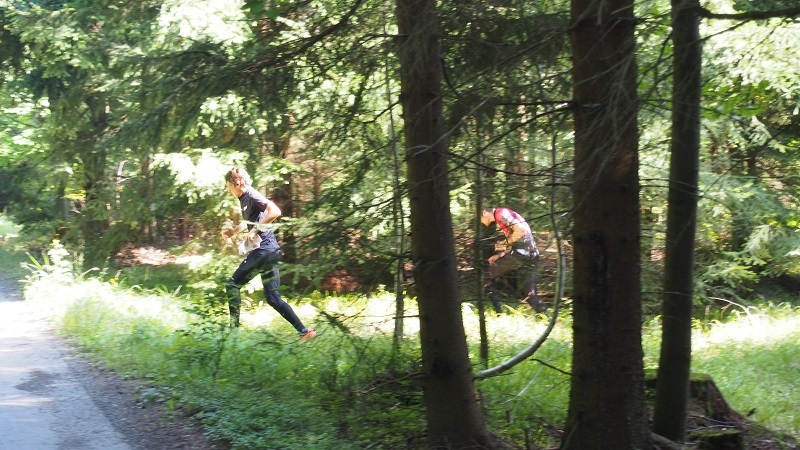 The whole New Zealand WUOC team is now together in Olomouc and we have had a good taste of Czech forests in this area. We have had model events for the middle and long and I think I have a good idea of what the race terrain will be like. The team is really enjoying the accommodation here now that the meals are up to full size with all the other teams here too. The long model area was fast running forest with small and distinct patches of dense young trees and going straight was always fastest. However the race looks twice as steep as this model so going straight won’t always be best on race day. The most significant thing we found while out on this model was that the tracks and rides were very hard to see because they were covered in needles and leaves exactly the same as the rest of the forest. I ran past a ride and a track near 6 without seeing them. I also used this model event as an opportunity to get a better feel for some more route choices. Going my way to 6 was between 30 seconds and 1 minute slower that going straight.